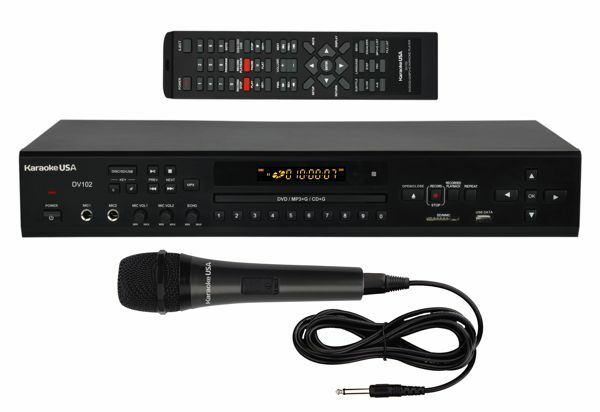 Play karaoke CDG and MP3G formats as well as DVD movies with this player. The perfect complement to your entertainment center or karaoke system. Further enhance your experience by recording music and the singer's voice into an MP3 file on your USB Stick or SD Card. Comes with microphone and 100 karaoke songs to get the party started. There are two microphone inputs for adding another microphone for singing duets. A 13 Step Key Controller will help singers to hit that special note. Includes a remote control.